For centuries, handmade Oriental rugs have been fashioned through painstaking processes that rival some of the more meticulously produced works of art in the world. They typically start with a hand-drawn design, referred to as a cartoon, that gives an artist a diagram to work from during the months- or sometimes year-long weaving process that ultimately concludes in a finished piece. In learning to become an appreciator of the true majesty of an Oriental rug, you often learn to appreciate every phase of its manufacture. To that point, one stage that’s often overlooked by rug collectors is that which is mentioned above: the cartoon. Without this design, the skill of rug weaving certainly wouldn’t have stood the test of time, and become the distinguished art form it is today. It is from this, the original artist’s vision of beauty, that Oriental rugs have gleaned both their intrinsic and investment value. But now, the way cartoons are being produced for handmade rugs may be changing, led by a movement of artists who create computer generated (CG) designs that construct equally impressive blueprints for rug manufacturing. 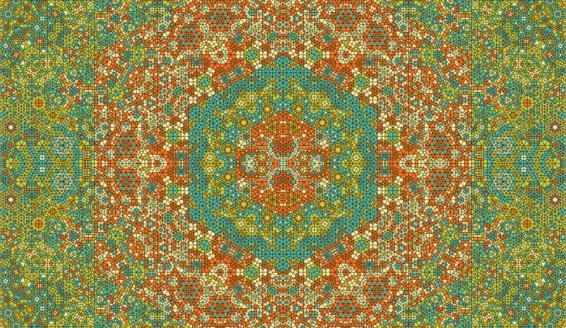 Going by the term “generative art”, these designs are being shaped by software programs developed by computer scientists such as John Greene, whose intricate fractal patterns are already being considered as a next step in modern day rug-making. Generative art, which is at times referred to as algorithmic art, refers to the specialty of building software that works autonomously to create everything from music, visual art, architecture, literature and other creative works. Having a close relationship to artificial intelligence in some respects, generative art is produced by a self-directed system that makes decisions on the pathways a piece will undergo from beginning to end. This is very different from designs which are produced by an artist’s hand, as there is very little or no human involvement in the project beyond the building of the original software from which it is derived. 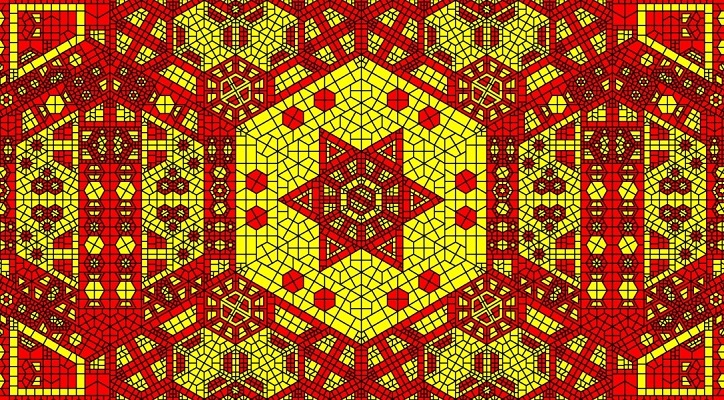 At times, algorithms will combine systems that originate in subjects such as chemistry, biology, mathematics, tiling and other disciplines, eventually culminating into a finalized piece of art that can either stand alone or be applied in other ways, such as Oriental rugs cartoons. But will this way of producing stunning, but complex cartoons change the Oriental, Persian and Turkish rug industry? Likely not. It does, however, represent a new model from which future rugs may be produced, inspired by images that pairs the computer with the expert handiwork of a rug weaver. And while it may seem impossible now, perhaps one day these very rugs will find themselves featured in museums and private collections among the very rugs that were manufactured centuries ago. What Types of Oriental Rugs are Good for High-Traffic Areas?